Bags to collect eggs will be provided. For safety reasons, eggs collected during the hunt will be empty. 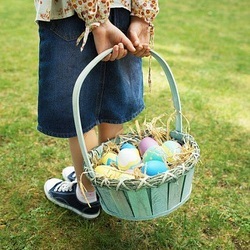 At the end of the Egg Hunt, children can turn in their eggs at the kiosk to receive a souvenir bag filled with sugar and glutten-free treats.